I decided I would have a go at making myself a birthday cake this year! 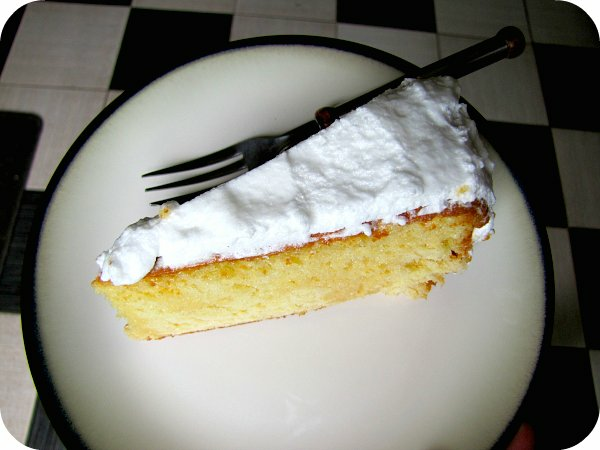 A long time ago a friend (thanks Emily) gave me the 'secret squirrel' recipe for a Latin American cake called "Tres Leches", otherwise known as "The Three Milks Cake". I have treasured my sacred copy, and after many years, finally decided I was ready to actually attempt making it for myself, only to discover my copy lost!! Thankfully today we have this wonderful thing called Google - and I found a similar recipe here. 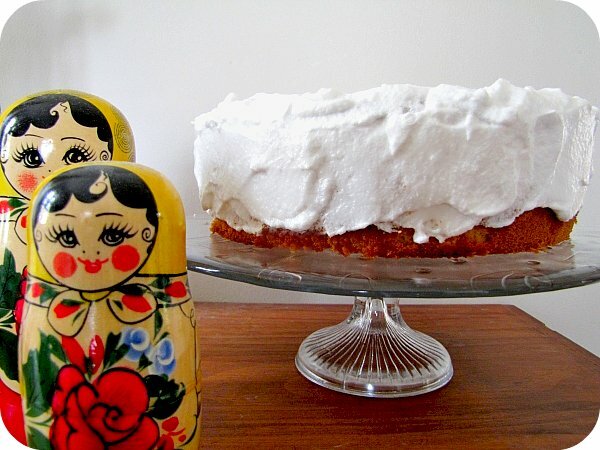 I love this cake - mainly because of the very delicious (and naughty) concept of making a light, spongy cake, then pouring a mixture of 'three milks' (cream, evaporated milk and condensed milk) all over the cooked cake, letting it soak into the cake and set before icing. To make the cream topping: In a blender, combine the evaporated milk, condensed milk, and heavy cream and blend on high speed. To make the icing: Once the cake is completely chilled, in a saucepan combine the water and sugar. Bring to a boil. Reduce the heat and stir to dissolve the sugar. Cook until the mixture reaches the soft ball stage. Remove from the heat. In a medium bowl, beat the egg whites to soft peaks. While beating, add the hot syrup in a stream. Beat until all the syrup has been added, the mixture cools, and a glossy icing forms. To assemble: Remove the cake from the refrigerator and spread the icing evenly across the top. I love this cake!!!! Of course I'm a snob who has never tried to make it because I had it in Latin America and know mine would never measure up. It is so yummy though!!!! This cake is the best! Oh good grief I WANT THAT CAKE. Whooooosh! I can't wait to getabakin! Thank you for the post - please pop over and say hello! Love this cake with strawberry's on top. So good!